Molly Kelly supports abortion without any legal restrictions up to the date of birth. She also believes taxpayers should pay for them. Even in a blue-ish state like New Hampshire, is this pro-abortion extremism a winner? During the Democratic primary for governor, Molly Kelly faced a challenge on the choice issue from her opponent Steve Marchand. Marchand staked out the most extreme position possible: Taxpayer funding for abortions up to the date of birth with no parental notification requirement for minors. Molly Kelly didn’t quite match him, but she’s managed to get to the left of most Americans on the subject. Kelly also opposes a ban on late-term abortions and she has pledged that if a woman in New Hampshire wants an abortion, money will not be an issue. “As your governor I promise you, that all women–all women–no matter, regardless of your income will have access to a safe, legal abortion. Period,” Kelly said during the Democratic primary. As a result, it was Kelly and not Marchand who received the endorsement of Planned Parenthood. And she’s received $62,000 from the abortion-activist group Emily’s List. 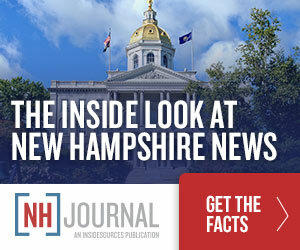 There’s no doubt that, based on polling, New Hampshire would be viewed as a pro-choice state. In 2013, Pew Research asked Granite Staters if abortion “should be legal or illegal in most cases,” and 66 percent said “legal”–one of the highest percentages of any state in the country. However, the question of whether abortions should be legal in general is a broad one, and while Americans have consistently supported abortions in the first trimester, support for late-term and “partial-birth” abortion is far lower. While polling on New Hampshire on this specific aspect of abortion policy is hard to find, Gallup has consistently found that fewer than a third of Americans support Marchand’s “abortion on demand” policy. More than half support some restrictions on abortion and another 20 percent support an outright ban. In fact, as of May of this year, Americans are evenly split on whether they consider themselves pro-life or pro-choice at 48 percent. And 81 percent of all Americans reject Marchand’s policy of allowing abortion in the third trimester. Molly Kelly’s position is so far Left that even Hillary Clinton rejected it during the 2016 campaign. Indeed, running for governor on the platform that Catholic taxpayers should be forced to pay for a third-trimester abortion seems a bit outside the political mainstream.